It is no wonder that New England's rippling shoreline, gouged out with inlets and bays, was a sensible stop and haven for mariners and colonists from Europe to stop and settle, offering safe harbors and a seemingly bottomless supply of seafood on which to build a new country. Newport, set on Narragansett Bay, has one of the most accessible and beautiful sites along the entire coast, which long ago made it a prime seafaring town whose wealth by the mid-eighteenth century made it, in the words of an observer of the time, "the most formidable rival of New York." 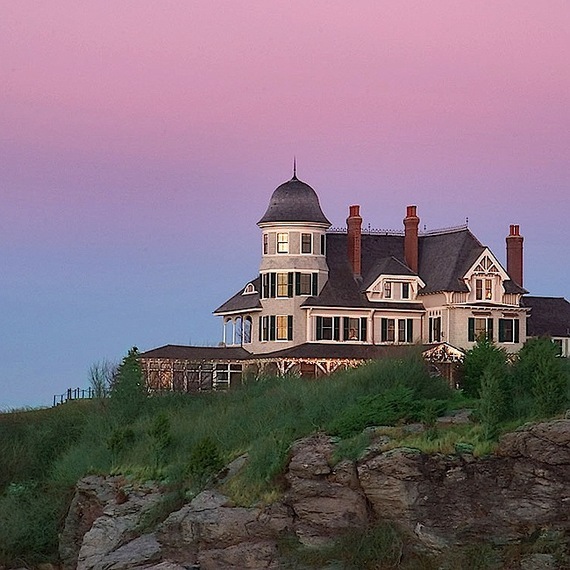 By the end of the 19th century Newport was home to many of the wealthiest families in America, whose summer homes were as splendid as the châteaux of France and the Great Houses of England, as chronicled by novelist Edith Wharton. Most of those mansions are still among Newport's great tourist attractions, lining the appropriately named Bellevue Avenue; nearby is Castle Hill Inn, a 19th century mansion located on a 40-acre peninsula, originally the residence of marine biologist Alexander Agassiz. When it became an inn in this century, it attracted a celebrated crowd that included playwright Thornton Wilder, who wrote his 1973 novel Theophilus North took the turret room here. 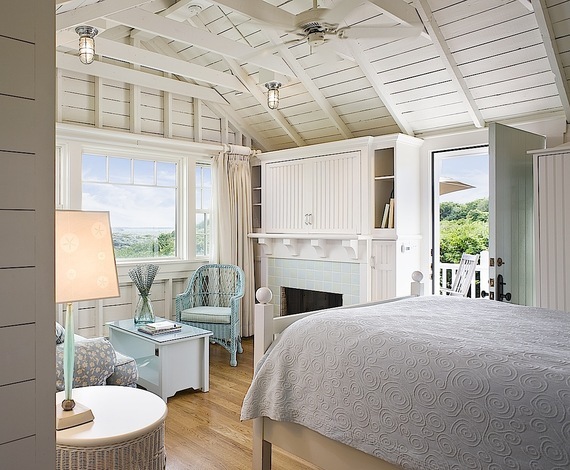 Today there are 24 rooms spread out over the waterfront, including isolated Beach Cottages among the dunes, where my wife and I spent a very cozy evening, awaking in the morning to a blast of winter sunlight breaking over the edge of the world. Everything in these cottages is new but based on cherished designs of the past, with a farm sink and all modern amenities; the rooms in the main house are individually designed with more Victorian cachet, the public rooms paneled with polished mahogany. The great lawn here has been expanded just this past year, and the management, under Brian Young, is only too eager to help guests with everything from clambakes to kayaking, sailing and weddings. The Dining Room in the main house has been expanded into the Sunset terrace, done in New England bluestone tile, teak furniture and linen-canvas umbrellas. Here Chef Karsten Hart features a fine amalgam of New England, American, and European cuisines, backed by an exceptionally rich wine list. Hart grew up in Louisiana, cooked in various restaurants in New Orleans, and gave up that city's heat and humidity for New England winters. Our party of four ate extensively throughout the menu, beginning with an amuse of butter-poached lobster with fennel cream and cracker crumbs that made the morsel very crispy. A roasted apple and celeriac soup was an excellent match of fruit and vegetable, made tastier with the addition of peanuts, guanciale pork cheek, golden raisins and micro-celery, all providing textural contrasts and pinpoints of flavor. Seared diver's scallops, a little overcooked that evening, came with a winter squash veloute, pumpkinseed brittle and cocoa brioche. These are all smart ideas, and Hart invests all his cooking with exciting contrasts. I found a confit of pork belly very salty beneath a poached egg, with a refreshing matsutake mushroom consomme. My brother, who is an indefatigable oyster aficionado, pronounced the Rhode Island beauties, with a clementine granita and a touch of fresh wasabi, first rate. For our entrees, we enjoyed braised veal cheeks, succulent and tender, with a celeriac puree and the nice briny flavor of pickled and fried leeks and a mirepoix vegetable glaze. That buttered lobster amuse was so good, I ordered another version, with quince relish, cauliflower, sweet potato fondant and a curry emulsion that reminded me how Newport was once a port on the maritime spice route all the way to Asia. Garlic bread-crusted hake with calypso beans, periwinkle and roasted garlic broth, and a bowl of littleneck clams with cardoons and pan-roasted fluke with an oyster stew, red flannel hash, wilted spinach and shaved fennel showed Hart's range. Good to see and taste was his take on the Portuguese-New England sailors' favorite, pork with clams, here spiked with bacon and rich Brant potatoes and Rhode Island chowder. Jonathan Martson's desserts were up to our expectations -- a chocolate hazelnut bar with vanilla milk jam and dark chocolate sorbet; a fried apple pie with bourbon laced caramel vanilla ice cream and a lush brown butter crumble. There is also a selection of New England artisanal cheeses well worth trying. After dinner, in bed before a crackling fire, with a fierce Northeast wind blowing around our cottage and a cold white moon shining through scudding silver clouds, my wife and I thought ourselves very lucky to be partaking in such a grand, historic tradition of New England hospitality. Any idea of being in a seaside room in the Caribbean never even entered our mind. 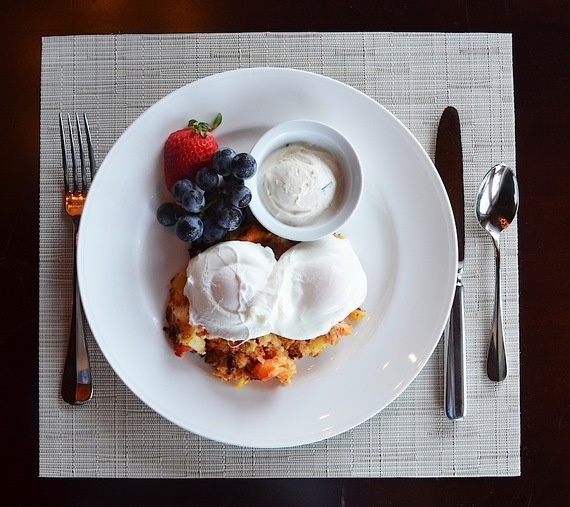 The restaurant is open for lunch Monday through Friday, Sunday Brunch with Live Jazz, and Dinner nightly. Three-course dinner is $78, four courses $92, six courses $105. 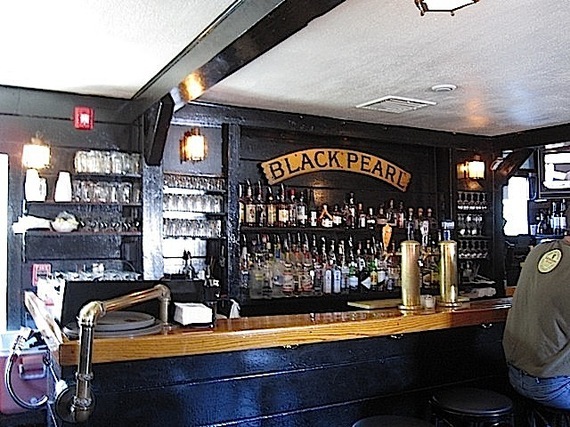 If you're looking for great seafood in a less formal dinning venue, The Black Pearl is one of Newport's oldest and most appreciated restaurants by both locals and tourists alike. Located on the docks on bustling Bannister's Wharf, the Pearl maintains its saltwater patina from the 1920's, when it was used as a sail loft and machine shop. The interior is all well-worn dark teak wood and the floors creak as if you were aboard an ocean-going vessel. When the weather warms up, the Pearl unveils its outdoor patio and raw bar venue with the same menu as inside The Tavern. In The Tavern, the Pearl's creamy white clam chowder continues to be the most popular signature dish people keep coming back for. The rest of The Tavern menu has a full array of shell fish in just about every possible iteration, along with just about every basic type of pub food imaginable, from burgers and chili to filet minion Béarnaise, veal parmesan, baked cod, or rack of lamb. They also do a good job with classics like tuna melt on an English muffin, as well as several other sandwiches like their juicy corned beef Reuben. If you're lucky, the early spring weather will be warm enough so that you may dine out on The Pearl's patio, where you can watch the yachts and dinghies come and go. Like the menu itself, The Tavern's price range "covers the waterfront" (pun intended). You can enjoy a pretty inexpensive meal like clam chowder and a salad, and a beer for about $25, or just a good hamburger for $8.50 with your choice of add-ons for 75 cents each. At the bar there's a large array of beers, ales, and wines. As always, lobster is at market price and you can have your two-and-a-half-pounder either grilled or steamed. For those who prefer a slightly more delicate entrée, there's a beautifully done grey sole panetière. Or if you're more in the mood for meat, there's Black Pearl lamb, filet mignon, or veal chop from the grill. The Black Pearl is open for lunch and dinner seven days a week and closed from January 3rd to Feb. 12th. Reservations are not accepted at the outside patio raw bar or The Tavern. At the Commodore's Room appetizers run $8-$13, entrees $21-$39; at The Tavern, appetizers $3-$12, entrees $17-$29.50.